As NICEIC approved electrical contractors, we have been installing, testing and maintaining electrical installations, appliances and systems in offices, factories, schools and retail properties for over 12 years. Based in Maidstone, we are ideally located to provide commercial and industrial companies from throughout London and the Home Counties with the very best in electrical contracting. Arrange your no obligation quotation today; call us on 01622 746855 to discuss your electrical contracting requirements with one of our helpful and friendly team. 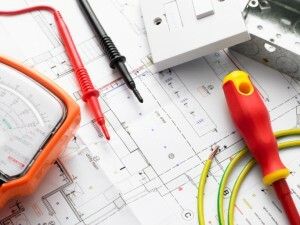 Guaranteeing your electrical work always meets the highest safety and quality standards, we are NICEIC approved electrical contractors that have extensive experience and expertise when it comes to commercial and industrial electrical contracting. As a company, we have been exceeding client standards and requirements for over 12 years, many of our experienced and highly skilled electricians and electrical contractors have been working in the industry for well over 35 years. Our knowledge and expertise ensures that your electrical contracting project, no matter how big or small, will be carried out to the very highest standards at all times.